It's that time of year again! Fright Fest 2015 is now underway at Six Flags Discovery Kingdom, and Theme Park Overload has full coverage from the event as always! This year brought the addition of a brand new clown-themed maze "Carnevil" and the departure of the short lived "Massacre Mine" maze that lived on the White Water Safari ride platform. You know it's going to be a busy night when they direct you to park at the fairgrounds across the street! (Which is, ironically, a shorter walk to the entrance than the regular parking area). Just in case you forgot which Six Flags park you're visiting! The park decided to have some fun with the Monsoon Falls ride vehicle while the space is occupied with a maze! I think this is the first bright orange coffin I've ever seen! The park added some sweet lasers at the main plaza that really spice up the atmosphere! Because all the parks are (rightfully) banning them now. Returning in 2015 for its second season, the Boathouse Blood Lake remains a decent maze to the overall lineup. The maze lacks a consistent story-line overall, but still entertains and scares guests who take a lap through it. I didn't notice any substantial changes or additions to this attraction from last year, but its layout and design is still entertaining nevertheless! It's worth a trip through if you're in the area. Unfortunately, this maze has deteriorated from previous years. In the past, "Shipwreck of Horror" cleverly fused the marine life (The maze is situated inside the park's Shark exhibit) into the maze itself. Jump scares from actors blended seamlessly with the massive tanks housing the aquatic life. This year, the maze seems thrown together and the recipient of recycled props from preceding mazes. Long, empty hallways throughout the maze distract from the overall "shipwreck" theme and come off as wasted potential on the park's end. Here's to hoping the park will give some TLC to the maze for next year and return it to its formal glory. Skip it this year. Also a maze that's returning virtually unchanged this year, "Scrapyard of the Dead" remains as a decent contender to the maze lineup. 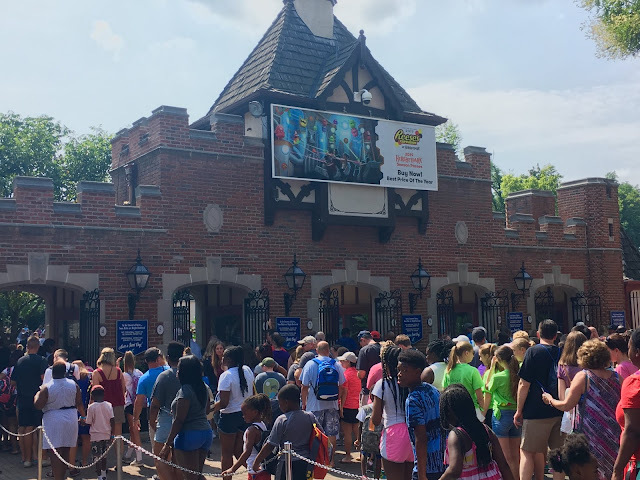 The overall maze's success is highly dependent on the actors working inside, as the generic sets inside force the live entertainment to give it their all. My run this year was pretty good, as the adequately staffed maze actors were performing at their best! Make sure to give this maze a visit! As the "New Kid" for 2015, Carnevil delivers and excels overall on all fronts! Housed in the large food court "tent" usually filled with tables and chairs, this circus themed maze finally brings killer clowns to the Fright Fest lineup! The end features a claustrophobic-inducing sequence that involves "digging" through the big top roulette style. Guests, after pushing through the red and white vinyl "tent" walkway, are introduced into a compact square with three walls surrounding them. With a solid wall blocking the exit on 2/3 of the sides, guests must navigate and feel through a seemingly endless amount of "big top" until finally reaching the exit. This maze is fantastic in every way, and is an overall must-do! Located in the Bumper Car Building, "Nightmare Manor" has always been a well balanced maze. It benefits from detailed sets, good actors, and a well conveyed story. It appears virtually unchanged from last year, which is fine as last year's version was equally good. To be fair, most guests won't remember the tricks and unique props the maze houses anyway. 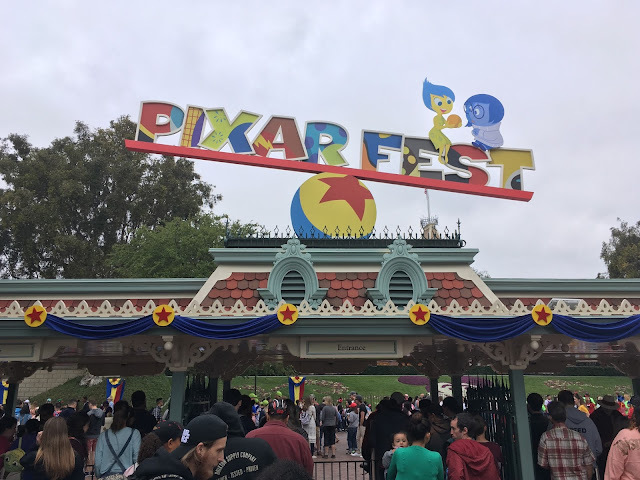 They (thankfully) removed the jump scare "photo opportunity" that forced all attendees to be photographed at the beginning, and this helps to speed up the line! "Nightmare Manor" is definitely worth visiting. As always, Slaughter House Pig Farm takes the cake as best maze. Its amazing sets, lavishly costumed actors, and great props makes it a fantastic maze. The combination of indoor and outdoor sets also add an entertainment factor to the maze. I noticed new bells and whistles throughout the maze that have added to and enhanced the experience, with the addition of a few new set pieces and layout! Props to the park for up-keeping and enhancing their stellar "gem" out of the entire maze lineup! Definitely a must-do! That wraps up Fright Fest 2015! 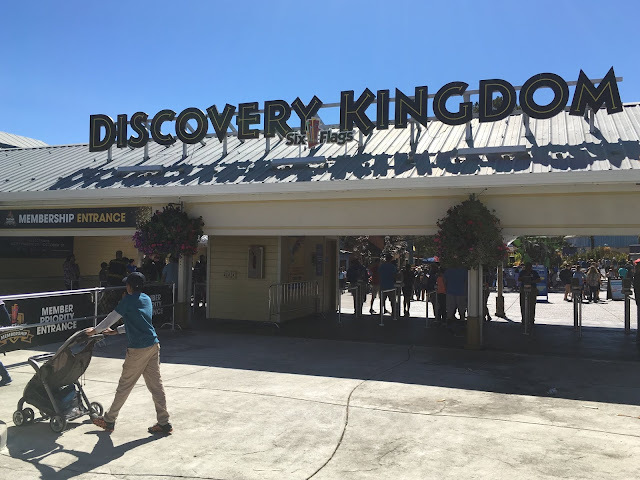 Special thanks to Nancy Chan and Six Flags Discovery Kingdom for, as always, being extremely accommodating to TPO! Make sure to "Like" our Facebook page to get the latest news and rumors from your favorite Amusement Parks delivered straight to your inbox! www.Facebook.com/ThemeParkOverload My name's Nicholous, and Thanks for Reading!